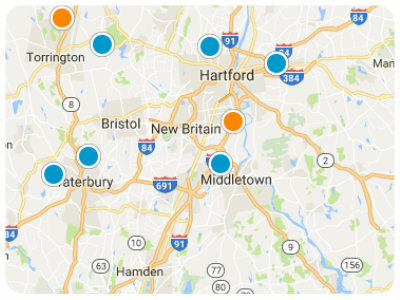 Search up to the minute Connecticut listings. Our Website is so cutting edge that our competition goes to it on a daily basis to Copy it! If they can't be original with their marketing, why would you use them to buy your home? In the Market to Buy a new home in Connecticut? The Dave Jones Realty team of local Real Estate experts is ready to guide you through the home-buying process. Dave Jones Realty is committed to fast, professional and courteous service to help you understand and feel at ease throughout the home buying process. Our trained and licensed agents specialize in the Connecticut area real estate market and are prepared to find the right home at the right price. We regularly have buyers come to us looking for a foreclosure or short sale because the perception is these are the deals in the market today. In many cases this can be true. Over the past several years the affect of these distressed properties as affected the value of all properties. We suggest not focusing on a property because of its financial standing but look more towards finding the best value. Why Use the Dave Jones Realty team of Realtors? Let the professionals of Dave Jones Realty make the process of buying a home straightforward and less stressful. Great Investment property. All three units are currently rented. Three minute walk to local grocery. Great Investments property. 2/3 units are rented. Very large two car garage great for contractor. Three minute walk to the local grocery.